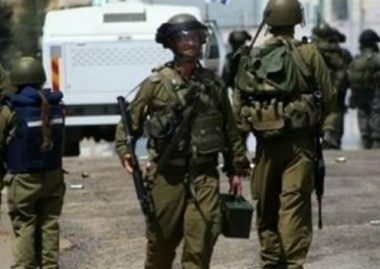 The Israeli army set up a metal gate at the entrance to the village of Nabi Elias, east of Qalqilia, in the northern West Bank, according to a local source. Ma’zouz Qaddoumi, from the municipality of Jayyous, a town adjacent to Nabi Elias, told WAFA that the metal gate was placed under a bridge on the road that connects Jayyous and Nabi Elias. The army can close the gate at any time and block traffic on that road. Qaddoumi said that the military had prevented the municipality from paving that road, which is vital to several villages, as it connects them together and with other West Bank cities. The military has put up metal gates at the entrance to almost every Palestinian village and town in the West Bank, using it to punish people collectively, by blocking the movement of cars and sometimes of the people trying to cross them.